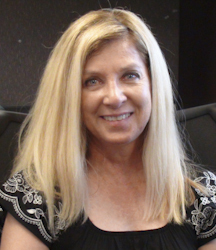 TULARE – The Tulare County Board of Supervisors has announced that Marilyn Kinoshita has been reappointed to an additional four-year term as Tulare County agricultural commissioner/sealer. This will be Kinoshita’s second four-year term. Kinoshita was first appointed to the ag commissioner position in December 2009. Board of supervisors Chairman Phil Cox said Kinoshita’s proven track record as ag commissioner was the deciding factor in the reappointment. In her first four years, Kinoshita has led the department in improving technology to enhance operations, bolstered community outreach and education, and focused on specialized training for staff. Kinoshita said she is pleased to serve as ag commissioner for an additional four years. Kinoshita joined the Tulare County agricultural commissioner’s department as an inspector in 1993, and has since worked in most of the divisions within the department. She began her Tulare County career working in pesticide use enforcement, and then served as a standards and quarantine inspector before becoming the department’s Dinuba District inspector in 1999. Kinoshita was promoted to deputy agricultural commissioner/sealer of weights and measures in February 2004, a position responsible for the direct supervision of 29 ag inspectors and 16 agricultural aides. Kinoshita was promoted again in October 2009 to the position of assistant agricultural commissioner/sealer, the second highest ranked position in the department. Prior to coming to work in Tulare County, Kinoshita worked six years for the Merced County agricultural commissioner’s office as a pest detection trapper. She earned her B.S. in Agronomy from the Arkansas State University in 1985, but says she first became interested in agriculture while growing up on her family’s farm in Nebraska, where they raised cattle and grew alfalfa, soybeans and wheat. In addition to her reappointment, Kinoshita will receive a 5 percent salary increase, bringing her base salary to $118,966 annually.